The state where Mahatma Gandhi was born is situated on the western shoreline of India; Gujarat is an outstanding tourist place, having impeccable cultural diversity and vivacity with spiritual as well as historic sites offering a unique taste of tourism to the explorers. 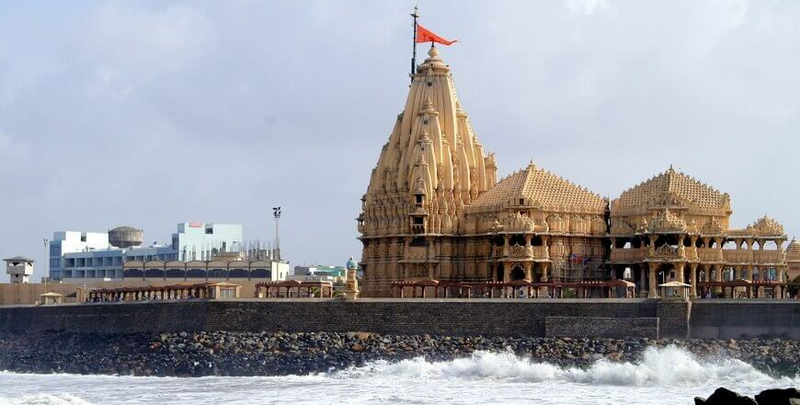 The packages covered in this tour are Ahmedabad, Jamnagar, Dwarka, Somnath, Gir and Diu. On arrival in Ahmedabad, meet our representative, we will transfer you to your already booked hotel and assist you with the check in process. After check into the hotel, freshen up and get ready to leave for the sightseeing tour of Ahmedabad. We will visit the Gandhi Ashram next to the banks of the River Sabarmati. It is the place where Mahatma Gandhi set out on his Dandi March and has now been converted into a museum. You can witness the intricate carvings at the Hate Singh Jain Temple and marvel at the grand architecture of the Akshardham Temple here. Later return back to the hotel for an overnight stay. Today post morning breakfast, check out from the hotel and leave for Jamnagar by road. En-route, visit the ancient and delightfully carved steep well. On reaching Jamnagar, check-in the hotel. In the evening, you can visit the Bala Hanuman Temple. It is listed in the Guinness Book of World Records for the continuous chanting of 'Shri Ram, Jai Ram, Jai Jai Ram' by its devotees since 1964. Enjoy an overnight stay in the hotel in Jamnagar. In the morning post breakfast, check out from the hotel and leave by road for Dwarka. On reaching Dwarka, check-in the hotel. Post lunch, we will visit the Beyt Dwarka, believed to be the original abode of Lord Krishna and the famous 'Nageshwar Jyotirlinga Temple', which is home to one of the 12 Swayambhu Jyotirlingas in the world. Later, we will visit the Gopi Talav, the lake where Gopis are said to have reunited with Lord Krishna. Thereafter, we will visit the Rukmini Devi Temple, dedicated to the wife of Lord Krishna. Later, return back to the hotel to take pleasure of an in Dwarka. Post breakfast in the morning, check out from the hotel and drive towards Gir. Sasan Gir is the famed place for Lion sightseeing and is well acknowledged as the only forest reserve in Asia for housing wild Lions,. Other animal species include the Sambhar, Spotted Deer, Nilgai and the Chausingha (the world's only four-horned antelope) can also be spotted in the forest. Even crocodiles can be seen in the reservoir and rivers flowing through the sanctuary. In the afternoon, we will go for a jungle safari in the National Park. Enjoy a night stay in Gir. In the morning after breakfast, we will leave for Daman & Diu by road. On reaching Daman & Diu, check-in the hotel. The rest of the day is free for leisure or to spend at the beaches of Daman & Diu, overnight in the hotel. After breakfast, we will continue the journey towards the airport to catch the flight for onward destination.